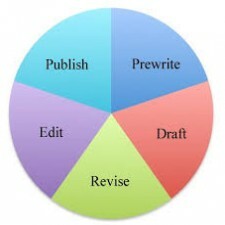 Effective essay writing and basic research techniques are essential tools for every college student. English 1101 is a composition course where you will develop writing, library and research skills by completing demanding readings for classroom discussion and as a basis for essay writing. Throughout the course, we will read about 7-8 essays together, and you additionally read 7-8 more articles for your research project. It is important that you do all of the reading on time in order to participate in class discussions and activities. You will also be expected to annotate (take notes) for every essay you read. If you prefer not to write in your book, you may photocopy the essay and/or use Post-its. Highlight main points, write questions in margins, circle unfamiliar words, and write the author’s thesis in your own words at the end (or start) of each essay. Prerequisites: CUNY certification in reading and writing. * Read and listen critically and analytically, including identifying an argument’s major assumptions and assertions and evaluating its supporting evidence. * Write clearly and coherently in varied, academic formats (such as formal essays, research papers, and reports) using standard English and appropriate technology to critique and improve one’s own and others’ texts. * Demonstrate research skills using appropriate technology, including gathering, evaluating, and synthesizing primary and secondary sources. * Support a thesis with well-reasoned arguments, and communicate persuasively across a variety of contexts, purposes, audiences, and media. * Formulate original ideas and relate them to the ideas of others by employing the conventions of ethical attribution and citation. * Show competency in various modes of and analyzing, including narration & description, comparison & contrast, cause & effect, argument & persuasion.